I’ll start by saying that recently I have had a challenging time finishing a book. I’ve struggled to get engaged in a story and stay interested. Not only did I find the story “Wildflowers from Winter” by Katie Ganshert engaging, but I felt like I had made friends of the characters. Ganshert really captured individual personalities, mannerisms, and created believable relationships. This left me feeling like I had become a part of the story, and like I had made several new friends. Some of the story itself hit close to home, making it a great read. Tragedy struck the characters, they struggled to support each other, and better understand themselves; and I found myself relating and learning from each of them. I laughed and even cried as Ganshert explored male-female relationships and also friendships between women. I appreciated that while it was a romantic story there was also an element of friendship entwined. As Ganshert’s character Bethany explored and discovered herself both past and present, she also re-examined her friendship with the believable and endearing character Robin. Again, I found this a relatable topic and engaging part of the story line. I found the unexpected turns in the story to be refreshing and believable. Ganshert did an excellent job of exploring the past and using it to inform her character’s present situations. There are some interesting literary strategies of switching from first to third person, and I still find myself wondering about the technique. I found it created an additional aspect to the story that often lead me to re-read or re-think parts of the story. As a lover of Christian romance stories I found this one to be fresh, fun, and entirely enjoyable. 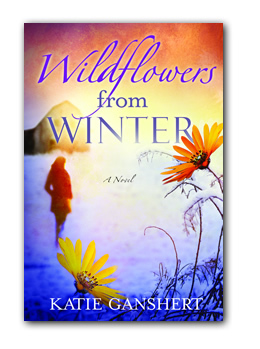 As a part of the Blogging for Books program I received “Wildflowers from Winter” by Katie Ganshert for free from WaterBrook Multnomah Publishing Group for this review.